If you are reading this, odds are you have been to some house party or nightclub where a DJ was on the center stage and played electronic dance music. You maybe even saw the very advanced piece of equipment they use to create magical sounds - the DJ mixing station. This complex setup consists of a DJ turntable, a DJ mixer, and a DJ MIDI controller, the last of which is perhaps the most underrated and most important component. The all-in-one DJ MIDI controller combines media players, a mixing station, and computer interfaces. They let you create sounds with the turntable, mix multiple sounds from various sources, and control your DJ software with the MIDI controller. These integrated modules have plenty of knobs, buttons, jog wheels, pads, and faders for fine-tuning and tweaking the settings to your heart’s delight. Some of the more popular DJ software suites for creating and mixing sounds are from Serato DJ and Traktor Pro. In addition, Ableton Live is one of the world’s most dependable music sequencers. In this article, we will discuss the most important properties that buyers should keep their eyes on when purchasing a new DJ MIDI controller. 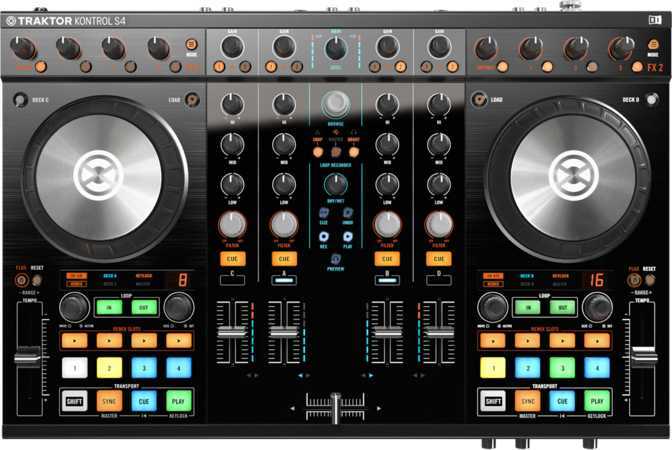 We are very aware that the number of features and functions on an all-in-one DJ MIDI controller can be overwhelming, especially for the novices who are looking to buy their first equipment. Fortunately, we have got you covered with this comprehensive list of characteristics you should consider when you are shopping for a new DJ mixing station. 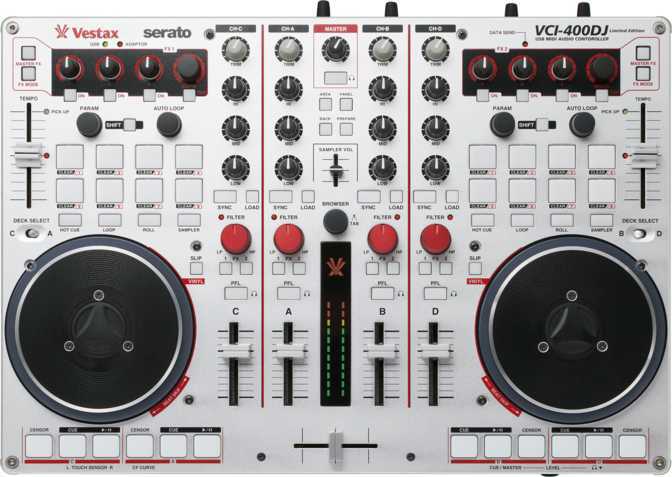 When you first see a DJ controller, you will instantly spot plenty of buttons, knobs, pads, faders, encoders, and many other extra fancy features that make these controllers so cool to look at in the first place. 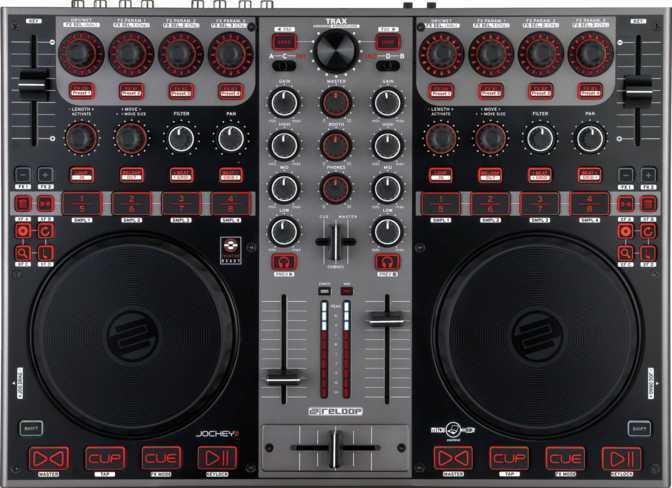 Various models from different DJ controller brands will have a varied number of these features. The buttons on a DJ controller each one serve a different purpose, allowing you to mix and match sounds to create a new sound. Most DJ controllers will have the following buttons: LOAD, CUE, SHIFT, IN, OUT, DECK, HOT CUE, DELETE, KEYLOCK, VINYL, SYNC, FUNCTION, FX, SAMPLER. According to our studies, the number of buttons on a DJ controller can range from as little as 10 to as many as 60! The average number of numbers is just about 41 (40.98 to be precise). The more buttons you have at your disposal, the more things you can do to your music and create a more distinct sound. 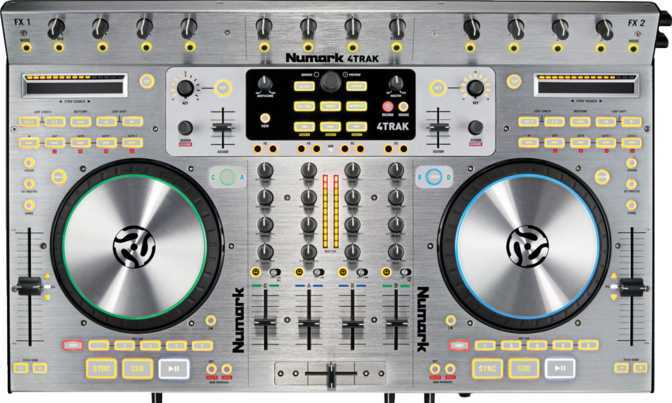 The DJ controller with the highest amount of number is the Numark 4TRAK (95) followed by controllers like the Pioneer DDJ-SX (78) and the Numark NS7II (83). As their name suggests, faders manipulate sounds by fading them in and out. They allow you to manipulate the blend of sounds. Some of the more common faders include line faders, equalizers, pitch sliders, and cross faders. 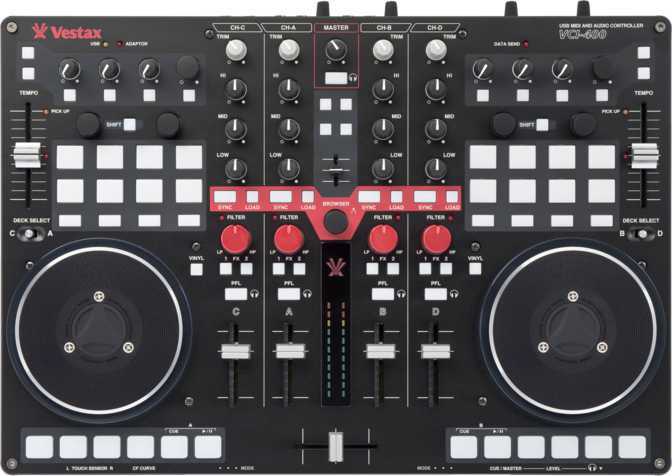 If you want a DJ controller with many faders, you can check out the Vestax Typhoon Black or the Allen & Heath Xone 4D. While the average number of faders on most DJ controllers is 5.35, this device has 13 faders, the most of any model available. Make sure you buy a DJ MIDI controller that has the right number of faders for your application. When you lay your eyes upon a DJ controller, you will see many little circular rounded protrusions on the module. These knobs are what DJs play with to tweak their sound in various ways. They can add more special effects to your music to give that one of a kind sound. If you want more control over how you can modify your music, you will need to buy a DJ MIDI controller that has the right set of knobs for your intended use. 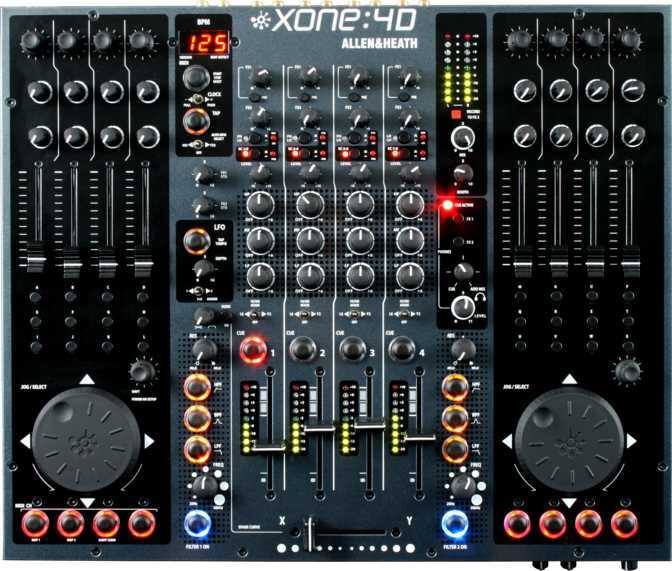 The Allen & Heath Xone 4D has a staggering 56 knobs on its module and the Pioneer DDJ-SZ has 54. That is significantly higher than the average of 17.6 knobs considering all other models. DJ controllers allow you to trigger loops and samples by using a series of drum pads. DJs cannot play all of the sounds all the time. They only have two hands! They need to play a sequence and put it in a loop so that they can focus on creating some other sound that goes well with the loop. On average, most DJ mixing stations will have about 4 drum pads, which might be sufficient to get the job done but there are models out there that have far more drum pads. The Stanton SC System 3 has a whopping 47 drum pads! That is a large number of drum pads on a single DJ controller. If you thought that buttons, switches, pads, and faders were all, you are sadly mistaken; there are still encoders to consider. These come typically in the form of knobs that you can push rather than turn. Encoders help DJs control certain sound effects, such as the tempo and the beat of the music. They also serve to help you select your digital sound files as you browse through your entire library, searching for that one sound file. The Reloop Jockey 3 ME and the Reloop Jockey 3 Remix have the most encoders of any DJ controller, with 13 encoders. That is much higher than the average of only 2.27 encoders per DJ MIDI controller. As you are searching for a DJ MIDI controller, you will notice that a vast majority (about 80%) of them have something called a touch sensor jog wheel. This wheel is usually much larger than anything else you will see on the controller. It helps to give you that analog feel and a high quality sound, when you are mixing and scratching to produce new sounds. When you are using a DJ controller, you want to be able to manipulate your sounds and adjust the frequency. You want to remove some frequencies while retaining some. In order to do so, you need to buy a DJ MIDI controller that has filter channels. The high and low pass filters as well as the band pass filters let you control what sounds you hear. DJs love them and you definitely want filter channels on your module. They come in the form of knobs. This property determines the number of analog samples taken from a signal every second to make a discrete digital signal. The higher the sampling rate, the higher is your quality of digital recording. 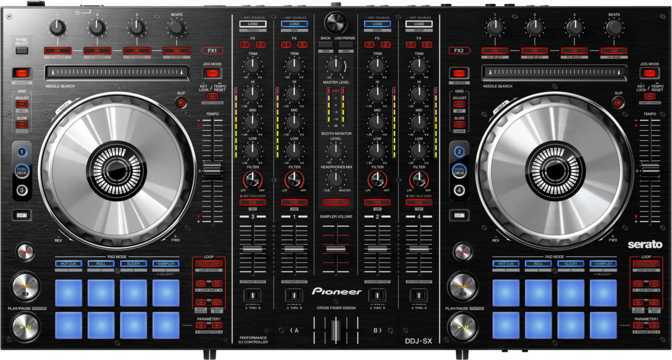 When you are buying a new DJ controller, try to get one that has a higher value. The Allen & Heath Xone 4D (the one with the most number of knobs – 56) has the highest rated audio interface sampling rate of 96kHz. The average sampling rate you will find on the market is about 57.62 kHz. If you truly desire a higher quality of digital recording, go for a DJ MIDI controller that has a high interface sampling rate. As with any other electronic device, DJ MIDI controllers are no exception to input and output ports. Even all-in-one DJ controllers need to be attached to other devices to make them more functional. When it comes to inputs, you might want to connect a microphone if you want to add some vocals to your sounds. Perhaps you have a CD player that you want to connect, since you do not have the digital files on hand but have the CD of a band you like. Of course, you have to connect a turntable to a DJ controller because that is your sound producing kit, without which you could not be a DJ in the first place. You need output ports as well because you want to be able to connect amplifiers to blast the sound out to the audience as you create music on your modules. You can also connect recorders to your DJ controller to record and capture your output to use for future purposes. When you are searching for DJ controllers and you want to connect several input and output devices, purchase one that has many I/O ports. Mixer channels permit you to mix multiple tracks together to produce a brand new and unique sound. Mixer channels also let you control other external audio sources, such as the sound coming in from a microphone or from a CD player. They give you a lot of freedom in how you can create music. Most DJ MIDI controllers have 2 and 4 mixer channels, while some controllers even have 8 and 16 mixer channels for even more flexibility and manipulation. However, the Allen & Heath Xone 4D has an internal sound card that boasts 20 mixer channels! 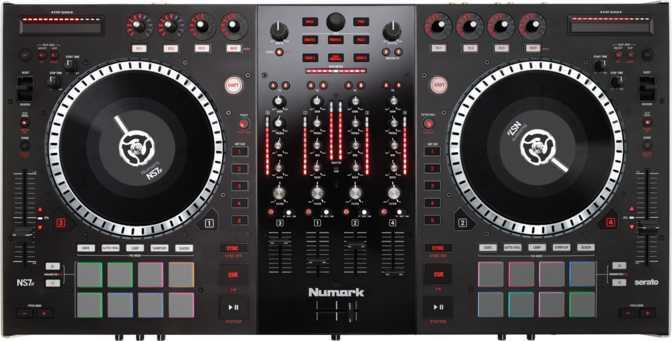 If you are serious about mixing from various sources, then you need to buy a DJ controller that has more mixer channels. We have talked a lot about the importance of having a great DJ MIDI controller as an integral piece of equipment in your DJ mixing station. While it is true that having the equipment is the first step, it is only half of the equation; you should also invest in using the right DJ software. The hardware needs appropriate software to work its magic and give you amazing results. There are plenty of options when it comes to DJ mixing software, but the most popular ones on the market include Serato DJ, Traktor Pro, Abelton Live, Cross DJ, and Deckadance. Some of them are free of cost while others are paid software. We are not saying that the paid software is better than the free ones, but we suggest giving them a try and seeing for yourself if they have some features you might like. In case you buy DJ software, make sure beforehand if it is compatible with your DJ Controller. Some devices are not compatible with all software packages, so read all reviews prior to making a purchase, to ensure that your hardware will work with the software. 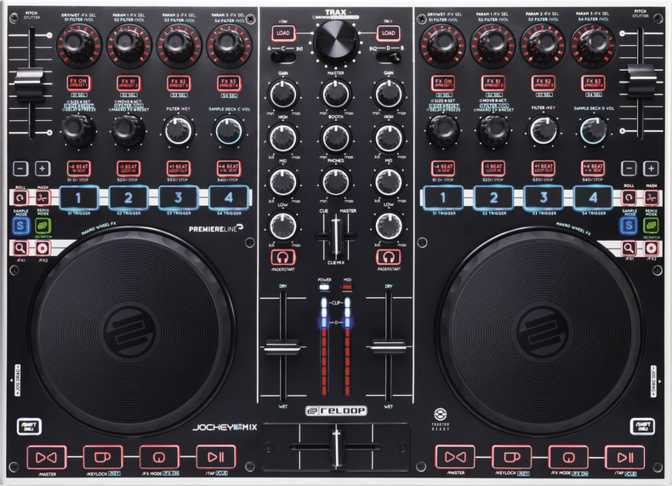 So now that you know which are the prime features of an all-in-one DJ MIDI Controller, you can keep an eye out for them as you invest in a new piece of DJ equipment.